The first thing I do when planning a research trip is to identify the sites (libraries, courthouses, cemeteries, etc.) I want to visit. My first step in creating a schedule of visitation is to consult the websites of each venue to find out the days open and operating hours. Instead of merely making a list of sites and operating times, I put the information on a calendar. To find a calendar that is fillable, I went to Microsoft office templates. I like the visual picture this gives me, and it serves as the first step in planning my itinerary. Then I want to check google maps to further block out my trip – I used this tool to see which sites are close to each other, which places are outliers and might require more travel time, etc. I can then pencil in the order in which I might visit certain sites. Each exposure $.40. Manuscript collections $1.00 per folder. If you keep these checklists by day of visit in a 3-ring binder, you will easily be able to locate pertinent details for the day’s travels. As you enjoy your breakfast, you will be very happy to have all the necessary information at your fingertips to get you where you want to be. 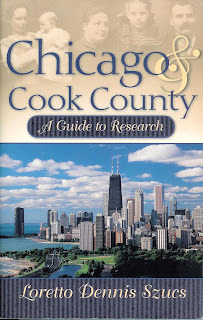 My next step in getting ready to visit Chicago was to search google.com for books on how/where to conduct genealogical research in this city. I found two on amazon.com that looked especially helpful and were available in inexpensive used copies in good condition. The first book is Finding Your Chicago Ancestors by Grace DuMelle. Ms. Dumelle is a librarian at the Newberry Library, specializing in genealogy and Chicago history. Part I of the book is organized around nine questions that you might ask yourself about your target ancestor’s life from place of birth to family members to addresses and date of death. Then for each question, Ms. DuMelle suggests types of records that might hold the answers. I’ve really taken to heart her advice on p. 15: “All of the sources for genealogical research mentioned so far are fallible.” So often, we find different dates for the same event in an ancestor’s life on different documents. This just means we have more work to do. 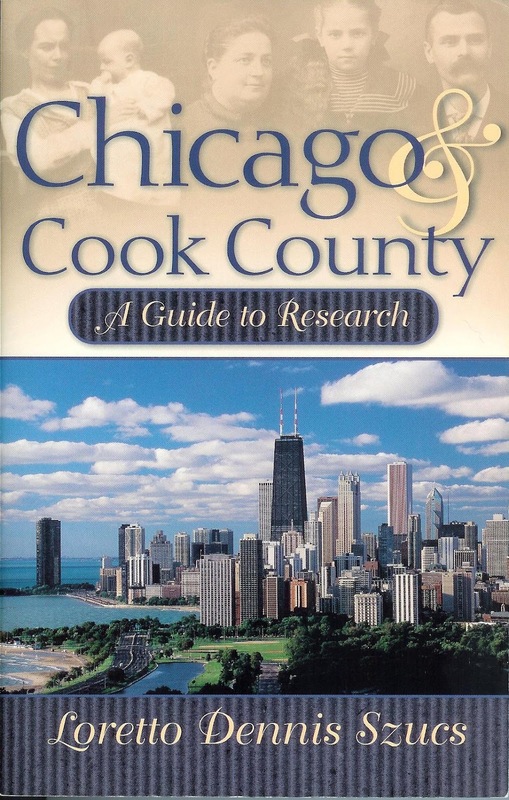 The second part of Finding Your Chicago Ancestors is called “Practical Advice”, and my favorite section is Chapter 14: “What to Expect at Chicago-Area Research Facilities.” Not only does Ms. DuMelle mention the top sites to research but she provides you a dress rehearsal before your visit: photographs of each facility and descriptions of holdings and services. Since the book was published in 2005, you will want to check each facility website for any changes or additions. 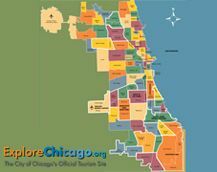 Because Chicago was known for its neighborhoods in the nineteenth and twentieth centuries (and still is today), it’s helpful to know the area(s) where your ancestors lived. For example, I have been told that the South Chicago Irish and the North Chicago Irish remained on their own side of the Madison Street boundary. Section 12 of Ms. Szucs book “Communities and Neighborhoods in Chicago” provides a good introduction to this subject. So let’s go over the first steps in planning a successful research trip. Once you have mapped out the operating days and hours of the sites you plan to visit, you can start formulating an itinerary for your trip. I suggest putting a Research Repositories Checklist for each site you plan to visit as the first thing in your trip binder. The next step is reading up on the cities or towns you plan to visit. I began with the internet and found two great books on Chicago on amazon.com. Of course, a visit to the website of each research site is a must to find the most up-to-date information.